Delta Air Lines (Atlanta) will continue operating five daily flights between Dallas Love Field and Atlanta. U.S. District Court Judge Ed Kinkeade ruled Friday (January 8) the Atlanta-based airline can continue to serve customers at the Dallas airport while gate allocations it is seeking are decided in lower courts. Delta has fought a lengthy legal battle to continue operating at Dallas Love Field so customers have more choice at an airport where Southwest Airlines operates 18 of 20 available gates. Love Field is smaller than Dallas-Fort Worth International Airport but more convenient to downtown. This entry was posted in Delta Air Lines and tagged Dallas, Dallas Love Field, Delta Air Lines, Love Field on January 11, 2016 by Bruce Drum. 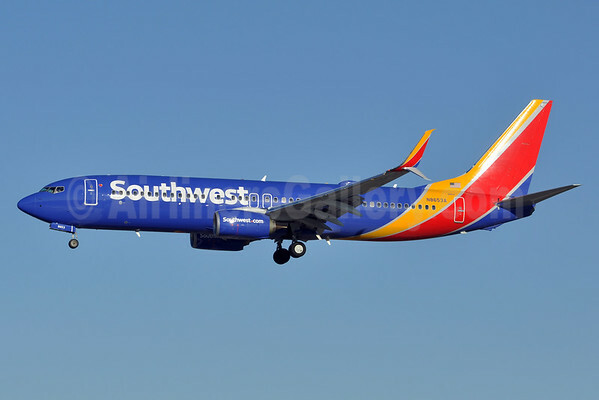 Southwest supports the City’s efforts to manage Love Field in accordance with its obligations under airline leases and the Wright Amendment Reform Act. Southwest disagrees with guidance provided by the U.S. Department of Transportation regarding the use of Love Field gates by non-tenant airlines like Delta. That guidance not only violates Southwest’s legal and contractual rights but would also reduce competition, costing consumers millions of dollars in higher airfares. Delta’s temporary license to use gate space at Dallas Love Field expires at midnight on July 6, 2015. Beginning August 9, Southwest will fully utilize its 18 Love Field gates by operating 180 flights a day to 50 nonstop destinations resulting in an industry-leading gate utilization of ten flights a day per gate. Southwest will therefore be unable to accommodate any other airline, including Delta, on its gates after that date. Tickets on these Southwest flights have been for sale to our Customers since February or earlier. The lawsuit filed by the City of Dallas allows the City and Southwest to ask the court to properly interpret applicable law as well as the contractual agreements entered into by the City and Southwest relating to Love Field, which clearly give Southwest the right to expand upon and maximize the usage of its leased gates in the best interest of the citizens of Dallas. Every other air carrier serving North Texas, including Delta, can grow without restriction at DFW Intl. Airport, which Delta currently serves. 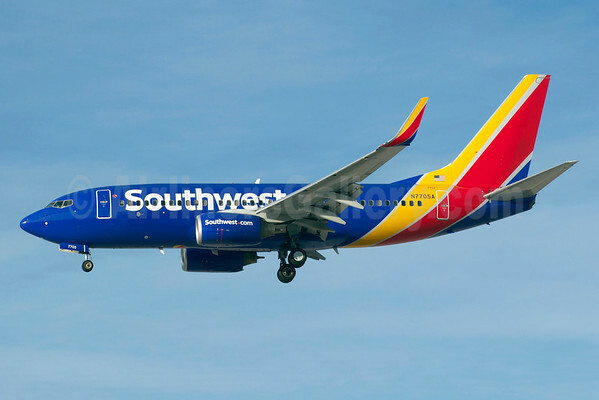 Southwest is restricted from growing beyond its 18 Love Field gates, which is a small fraction of the total 185 gates in the Dallas Ft. Worth market. Copyright Photo: Bruce Drum/AirlinersGallery.com. Boeing 737-76N N7705A (msn 32744) prepares to land in Las Vegas. This entry was posted in Delta Air Lines, Southwest Airlines and tagged 32744, 737, 737-700, 737-76N, Boeing, Boeing 737, Boeing 737-700, City of Dallas, DAL, Dallas, Delta Air Lines, LAS, Las Vegas, Love Field, N7705A, Southwest, Southwest Airlines on June 19, 2015 by Bruce Drum. Southwest Airlines (Dallas) yesterday (April 8) began operating more daily itineraries between Dallas Love Field and nine additional cities around the United States (Columbus, Ohio; Indianapolis, Indiana; Memphis, Tennessee; Milwaukee, Wisconsin; Panama City Beach, Florida; Portland, Oregon; Sacramento, California; San Jose, California; and Seattle/Tacoma, Washington) and will launch Saturday-only flights between Dallas and Charleston, South Carolina, on April 11, 2015. In addition, Southwest began additional flights between Dallas Love Field and Ft. Lauderdale/Hollywood, Oakland (San Francisco Bay Area), and Santa Ana/Orange County. The carrier also initiated daily service between San Antonio and Cancun, and between Kansas City International Airport and New York LaGuardia. Copyright Photo: Brian McDonough/AirlinersGallery.com. Boeing 737-8H4 N8646B (msn 36935) in the now old 2001 livery and also with Split Scimitar Winglets completes the river approach to Washington’s Reagan National Airport (DCA). This entry was posted in Southwest Airlines and tagged 36935, 737, 737-800, 737-8H4, Boeing, Boeing 737, Boeing 737-800, Dallas, Dallas Love Field, DCA, Love Field, N8646B, Reagan National, Southwest Airlines, Washington on April 9, 2015 by Bruce Drum. 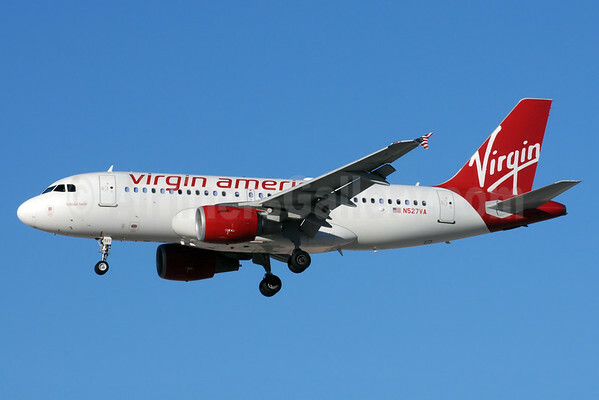 Virgin America (San Francisco) has announced it is launching sales on new flights from Dallas Love Field (DAL) to Austin-Bergstrom International Airport (AUS). The new flights take off on April 28, 2015, and flyers can select one of five daily nonstop flights from DAL to AUS, with convenient connecting service also available via DAL to Ronald Reagan Washington National Airport (DCA), Los Angeles International Airport (LAX), San Francisco International Airport (SFO) and New York’s LaGuardia Airport (LGA). Above Photo: Virgin America. The airline’s high profile arrival in Dallas. In the fall of 2014, Virgin America moved from Dallas-Fort Worth International Airport (DFW) to DAL and launched new, nonstop daily flights from that airport to DCA, LGA, SFO and LAX. With the addition of the new DAL-AUS flights, the airline will offer 19 daily departures from Love Field. Virgin America has served the Austin market since 2013, with nonstop flights from SFO. In 2014, the carrier also expanded its SFO-AUS schedule. Top Copyright Photo: Bruce Drum/AirlinersGallery.com. Airbus A319-112 N527VA (msn 3417) prepares to land in Las Vegas. 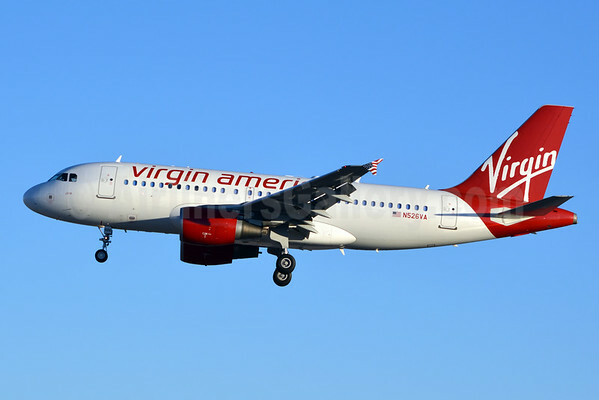 This entry was posted in Virgin America and tagged 3417, A319, A319-100, A319-112, Airbus, Airbus A319, Airbus A319-100, Austin, Austin-Bergstrom International Airport, Dallas, Dallas Love Field, LAS, Las Vegas McCarran International Airport, los angeles international airport, Love Field, N527VA, Ronald Reagan Washington National Airport, san francisco international airport, Virgin America on February 18, 2015 by Bruce Drum. 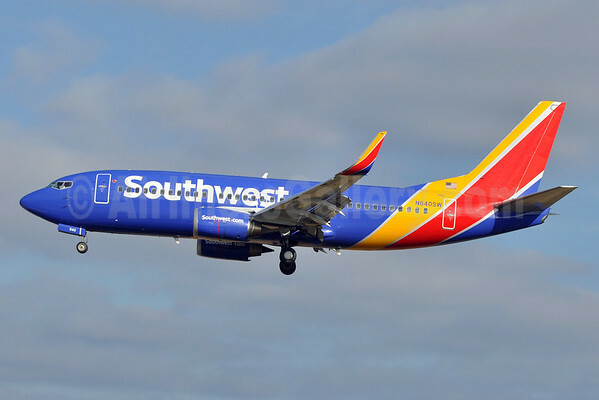 Southwest Airlines (Dallas) has announced it added nonstop flight options between 10 cities and Dallas Love Field, linking a total of 43 destinations to Dallas beginning in April 2015. *Nonstop service between Dallas Love Field and Charleston, SC, begins on April 11, 2015 and operates only on Saturdays. Beginning April 8, 2015, Southwest will begin offering daily flights between Dallas and Panama City on a seasonal basis, one month after launching the route with weekly flights on Saturdays. The same day, increased flights begin between Dallas and Ft. Lauderdale/Hollywood, Oakland (San Francisco Bay Area), and Santa Ana/Orange County. This announcement brings Southwest’s service at Love Field to 166 daily flights. More nonstop destinations are landing at Santa Ana/Orange County. The carrier has also announced new service between Santa Ana/Orange County and Seattle/Tacoma and between Santa Ana/Orange County and Chicago (Midway). These new flights are in addition to previously announced service between Santa Ana/Orange County and Austin, all of which are effective June 28, 2015. Southwest also will increase the number of daily, nonstop departures between Santa Ana/Orange County and Dallas Love Field and Santa Ana/Orange County and San Jose del Cabo/Los Cabos, Mexico effective April 8 and plans to inaugurate daily service to Puerto Vallarta, Mexico on June 7, from Santa Ana/Orange County, subject to governmental approvals. Copyright Photo: Tony Storck/AirlinersGallery.com. 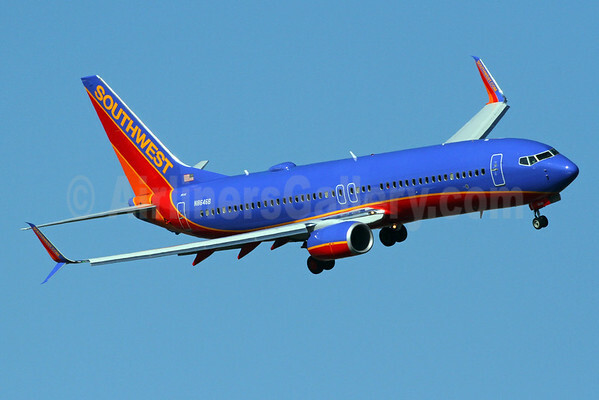 Now repainted, Southwest Airlines Boeing 737-3H4 N640SW (msn 27713) prepares to land at Baltimore/Washington (BWI). This entry was posted in Southwest Airlines and tagged 27713, 32737, 737, 737-300, Baltimore-Washington Thurgood Marshall International Airport, Baltimore/Washington, Boeing, Boeing 737, Boeing 737-300, BWI, Charleston, Dallas, Dallas Love Field, John Wayne Airport, Love Field, N640SW, Orange County, Panama City, Santa Ana, Southwest Airlines on February 13, 2015 by Bruce Drum.